I absolutely adore gingham fabric. This brightly checked cotton was always a favorite of mine during the early days of learning how to sew. I used it to make aprons, doll clothes, and napkins. It always spoke of cleanliness, energy, and fun! One of the questions from the Sisterhood of the World Blogger Award post a few weeks ago, dealt with my favorite movie, Seven Brides for Seven Brothers. 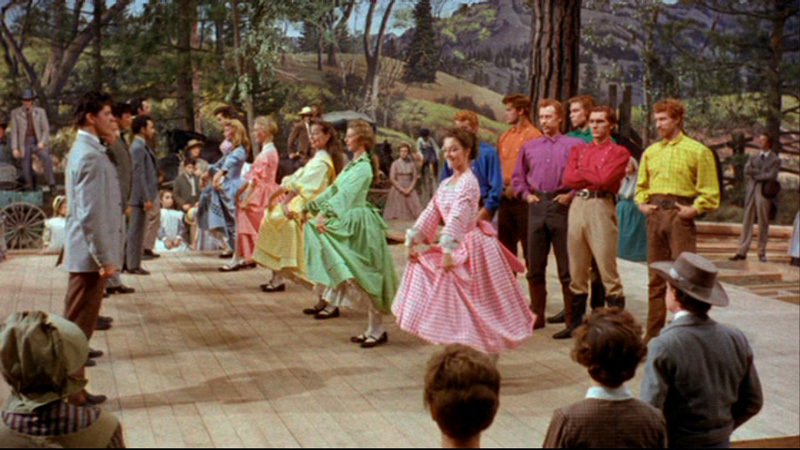 One reason I love this movie so much is for the bright costumes the “brides” wore, many of their gowns being gingham. 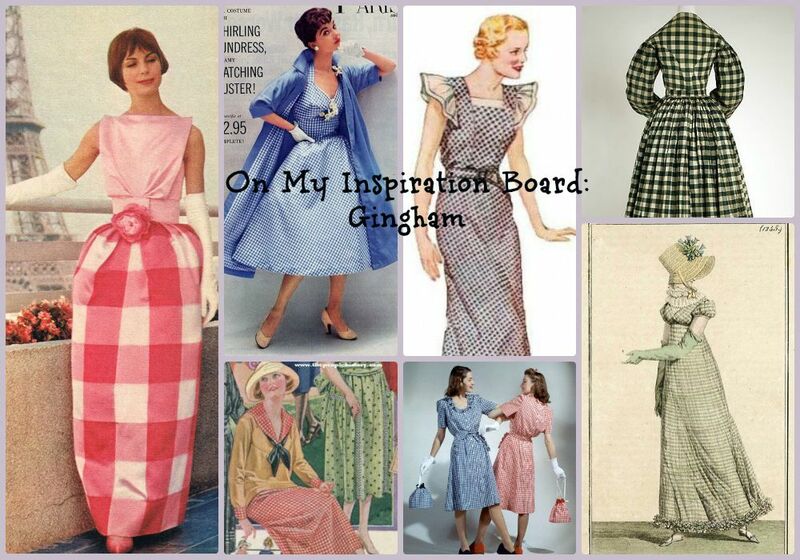 Gingham, as a fabric for daily wear, went through waves of popularity. Early 19th century gowns were more likely to feature a small check versus the wider pattern we are used to seeing today. It wasn’t until the 1910’s that gingham began to appear in the average woman’s wardrobe on a consistent basis, with the height of popularity peaking in the 1950’s. Gingham is still very popular today, although known as more of a spring/summer fabric. I myself have a few tops in this brightly checked fabric and thoroughly enjoy wearing them in the warmer weather. 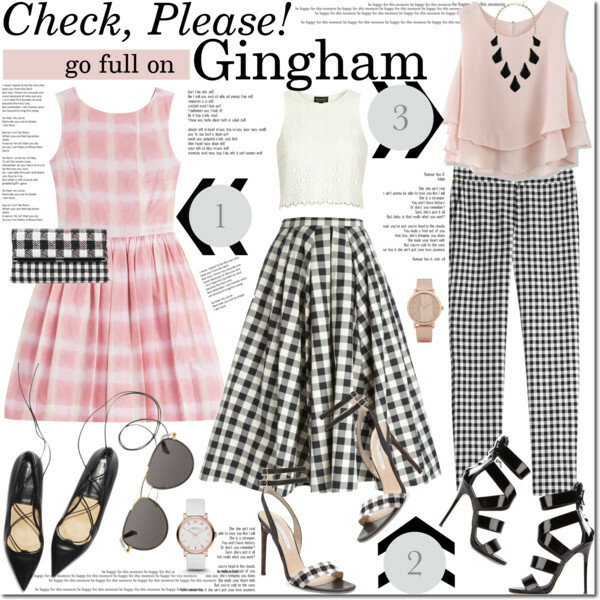 So go ahead and add gingham to your sewing stash and your wardrobe! You won’t be disappointed. For more examples, feel free to visit my Pinterest Board. Love gingham! Thanks, I may make the gingham pants and tops pictured.